Richard Alston has been making dance for 50 years; half of that time for his own company. Yet this celebratory programme, which features two London premieres as well as vintage Alston, also has an unavoidably elegiac edge. It’s the company’s penultimate appearance at Sadler’s – because of Arts Council funding cuts (prioritising youth and novelty over expertise) it will close in 2020. Though Alston seems sanguine in interviews, the news is galling for dance fans. What an appalling waste. Alston treats choreography as a finely-honed craft – an intricate moulding of motion to music without recourse to grand theoretical notions and modish mixed-media shenanigans. The sheering lines and tilted balances of Proverb – set to Steve Reich’s piece of the same name – speak volumes about the precarity and collaboration inherent in any human endeavour, whether that’s the building of a giant cathedral or a simple friendship. Quartermark – comprising four pieces from across the years, to Monteverdi, Ravel, Bach and Handel – shows how deftly Alston has his dancers catch at the accents of the music, bringing a fleet dynamism and rigour to compositions both baroque and lushly melodic. Limbs are so felicitously placed that they seem to converse, to sing something enigmatic, joyful or mischievous (the wrist flourishes and elbow pumps are a delight). 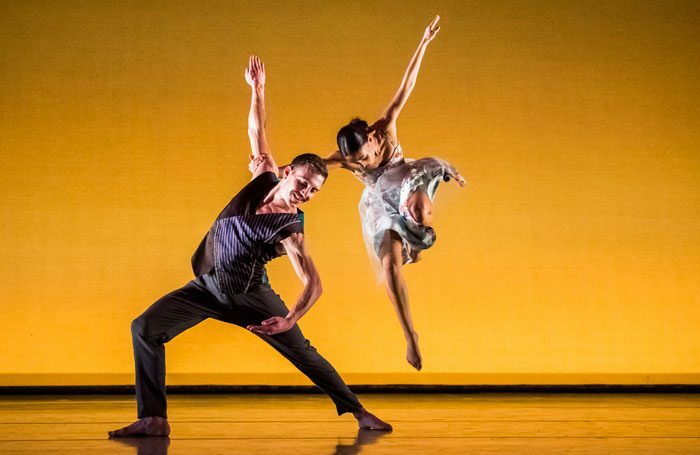 Detour, by Alston’s deputy Martin Lawrance, features duets of darting ferocity and startling velocity. Brahms Hungarian, with its shifting dramas of bouncy insouciance and Czardas swagger, is a gorgeous tribute to the German composer’s folk-inspired pieces, played live by Jason Ridgway.